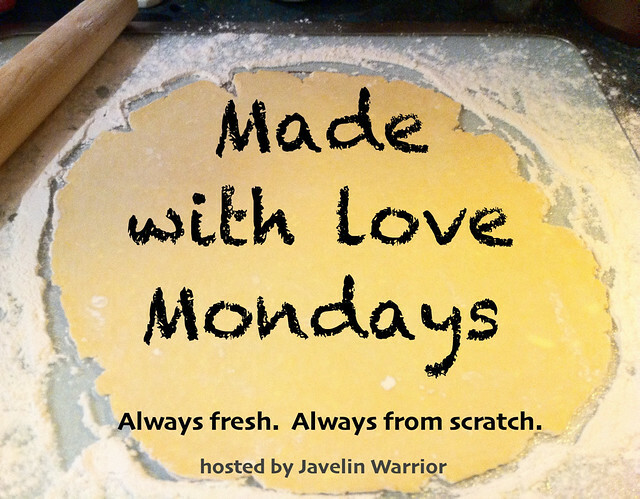 Each week I host Made with Love Mondays as a weekly series to promote, share, and celebrate foods make entirely from scratch. Food without transfats, without preservatives, without food dyes, without high fructose corn syrup. Creative recipes shared by talented foodies. Enjoy - and remember to share your recipes. Thanks to all of the talented foodies who have made this series possible - YOU ROCK! Good morning! Hope you had a marvelous weekend my friend. I don't have anything with plums to link up this week, so we'll have to go with onions. :) Thanks for keeping this going and making such a nice presentation each week! Have a wonderful week! I thought you had left a comment on Made with Love Mondays, MJ - Disqus has been giving me a problem all week and sometimes comments appear and sometimes they disappear. Which is really annoying with Muy Bueno Cookbook giveaway going on right now... I'm so glad you enjoy the MWLM series and thank you for sharing another delicious recipe! Thanks so much for your comment, will take note about using canned fruit in my next made from scratch recipes! Have a great weekend!